I was looking through IPDB.org database and found a couple of Video pinball machines one is made by Bifuca, of Murcia, Spain. It has 4 built in tables. I found another that has Mark Richie as a designer this is his last documented pinball design. 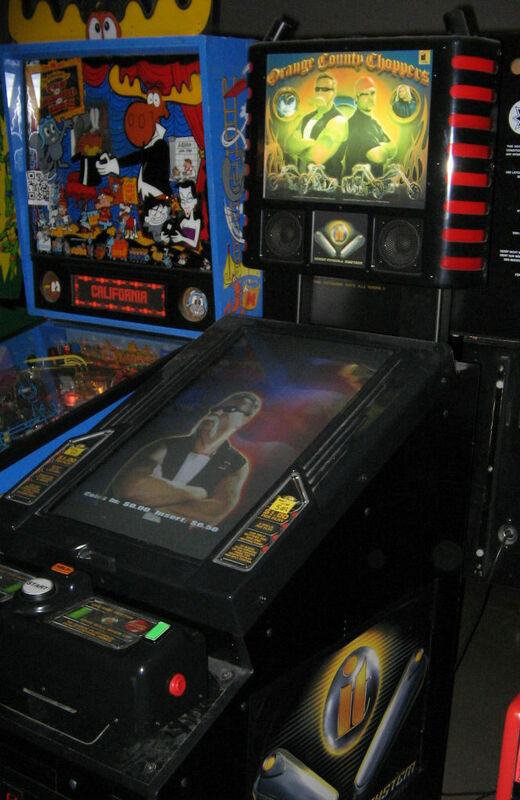 2005 OCC video pinball. The 32" crt was deemed too costly and heavy so they made 6 more using a 27" monitor, with today's flat screen's it would be cheap and light to make one. I remember Devospeed made a table using a PC and one or two LCD's. that is a bit pricey for the complete cabinet. The controller also seems a little expensive as well. Still a cool thing.